Now that I have been reading a few of Lauren Carr's books, I can tell you for a certainty that they become addictive! Now that I have been reading a few of Lauren Carr's books, I can tell you for a certainty that they become addictive! I've read 3 books in her Mac Faraday Mystery series (Three Days to Forever, Cancelled Vows, Candidate for Murder) 1 book from her Thorny Rose Mysteries (Kill and Run) and now 1 book from Lovers in Crime Mysteries. 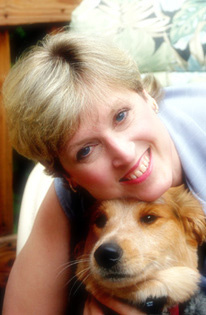 And I'm anxiously waiting to read her next release in January A Fine Year for Murder in her Thorny Rose Mystery series. As in all her books, Lauren Carr has succeeded once again in creating a murder mystery with twists and turns, a great cast of unique characters and plenty of personal issues that keep the story interesting. 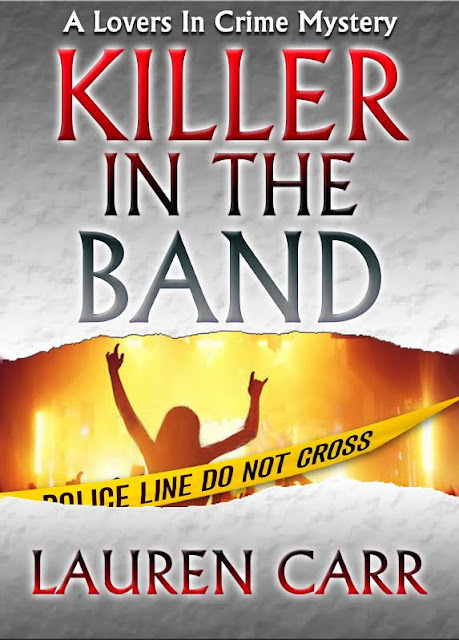 In Killer in the Band, Joshua Thorton's son J.J. has graduated from law school and returns home, only to leave a few days later to live with his much older twice-his-age girlfriend Suellen, who is the owner of the largest dairy farm in the Ohio Valley. She was also once a leader in a rock group. Several murders are connected with people Suellen once knew and the novel takes the reader on a spin as one tries to figure out how the events are all connected. All of this happens simultaneously as Carr continues to develop an already stellar cast of characters, including adorable tween Izzy, Charley the Rooster and Comanche the wild horse. There are family issues, a good dose of humor, some gothic cult, and a spooky psychiatric hospital. All of this in a fast-paced murder mystery that keeps one guessing. I've worked with seniors who have dementia so being familiar with this illness, I figured a few thing out on my own and can attest that the plot centred on this issue was realistic. Although this is the third book in this series, and I had not read the first two, I had no problem following all the characters. Carr has a list of them in the front of the book, but they are all so unique and the story flowed well that I never felt lost. Truly, all of Carr's books are stand-alone, but once you start reading a few and become familiar with her lead characters, you're hooked. You've been warned! Thank you so much, Laura, for the fabulous review of KILLER IN THE BAND. I am so glad you enjoyed it and am sure your followers will enjoy it as well. Here's wishing each of your followers luck in the giveaway!